The Roland HP605 Digital Piano, featured here in Polished Ebony is designed to play and sound as close to an acoustic piano as possible. 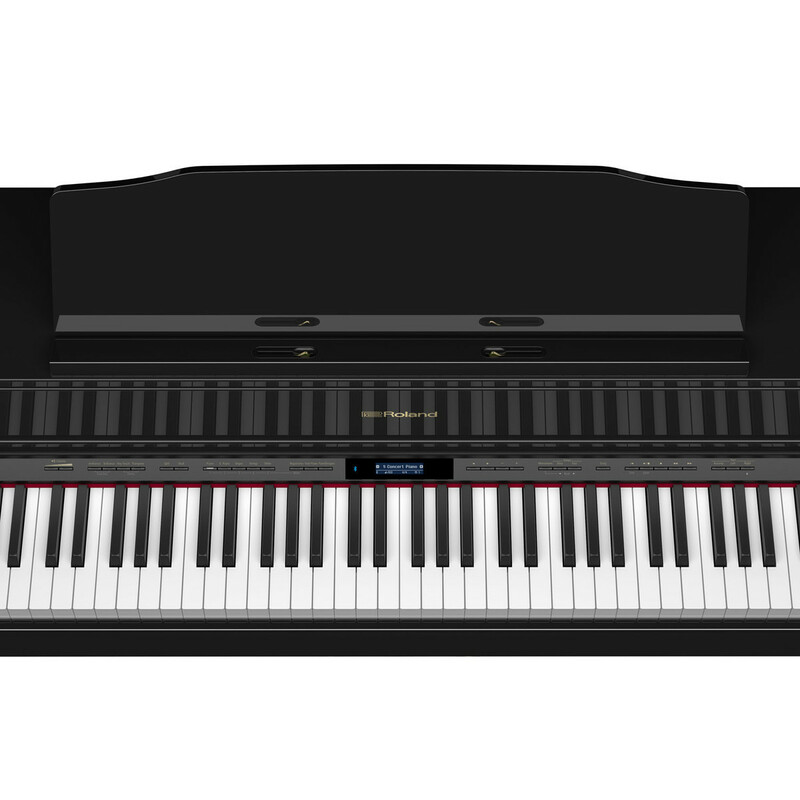 The HP605 uses Roland's latest piano sound engine as well as a key sensing system that ensures the keyboard and sounds work in harmony. 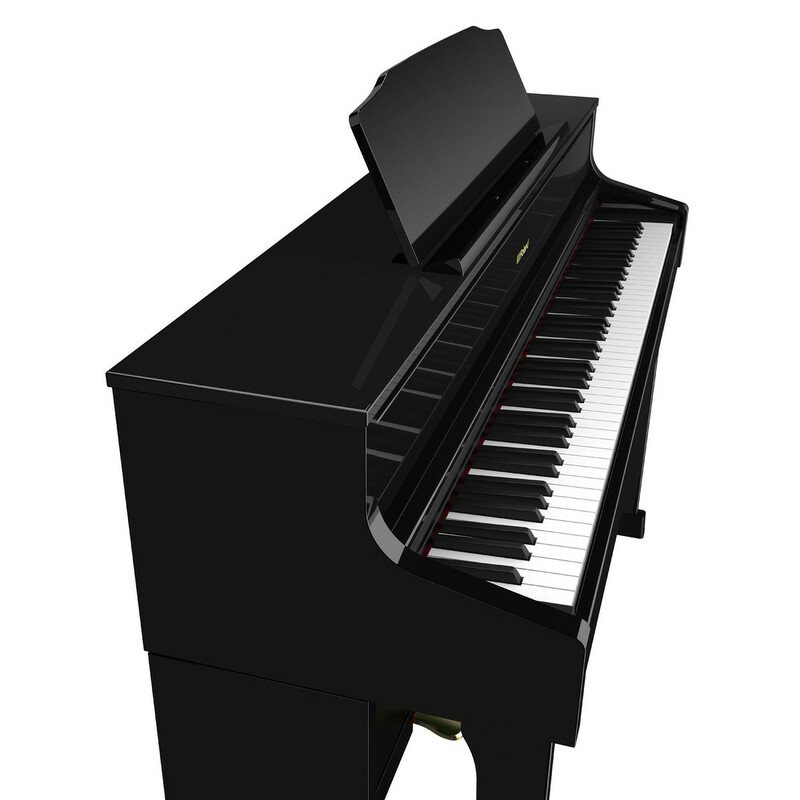 Roland has considered how a Grand Piano sound can be achieved through headphones and rather than simply switching the speaker output to the headphone mix, the HP605 uses 3D ambience to optimise the audio so it sounds like it's coming from within the piano itself not through your headphones. 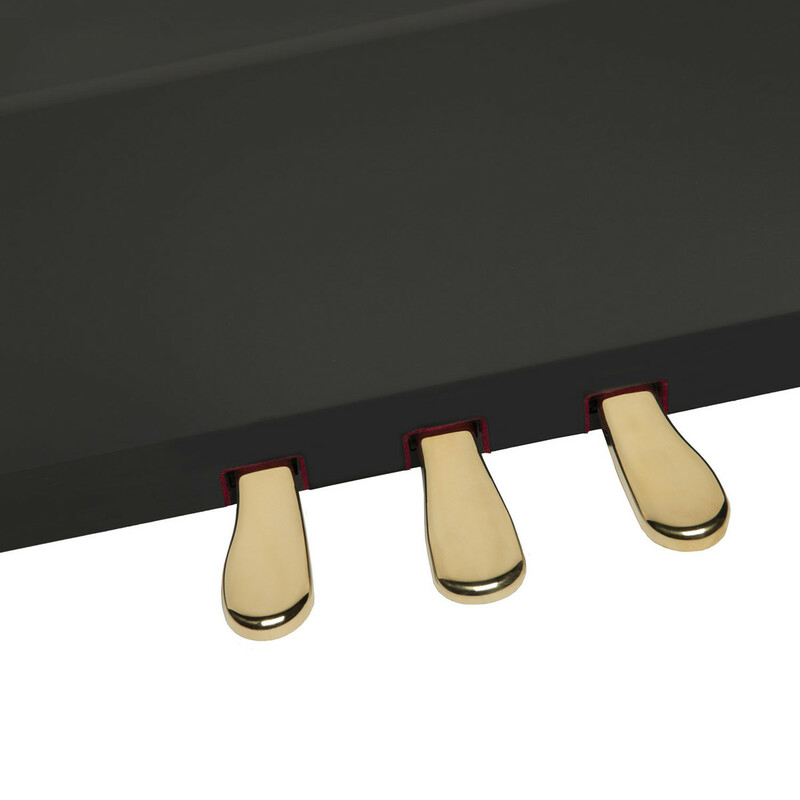 Six speakers work together to recreate the deep, rich sound field of an acoustic piano ideal for hearing the potential of your playing. 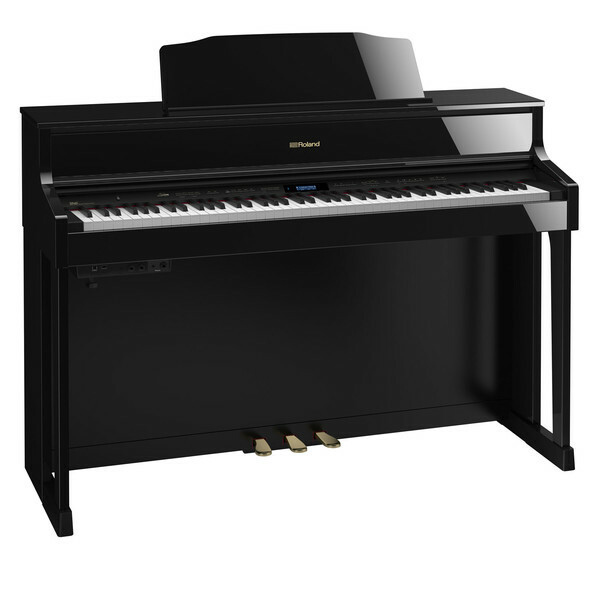 The HP605 houses a three-way, six-speaker system, driven by a powerful four-channel amplifier and each section fulfills a specific role in delivering superior piano tone. 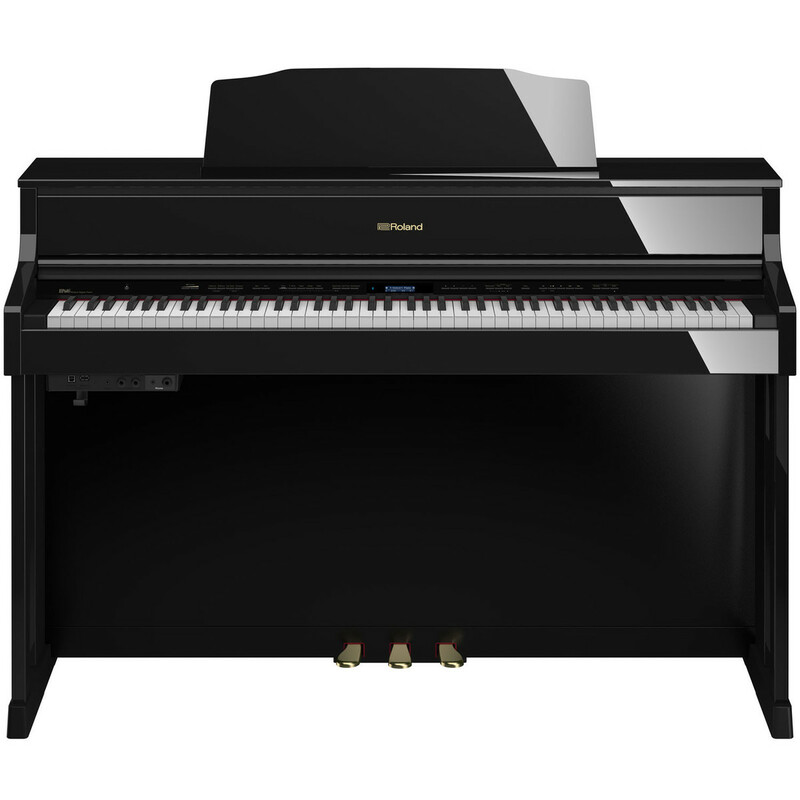 This system reproduces an authentic grand piano sound. 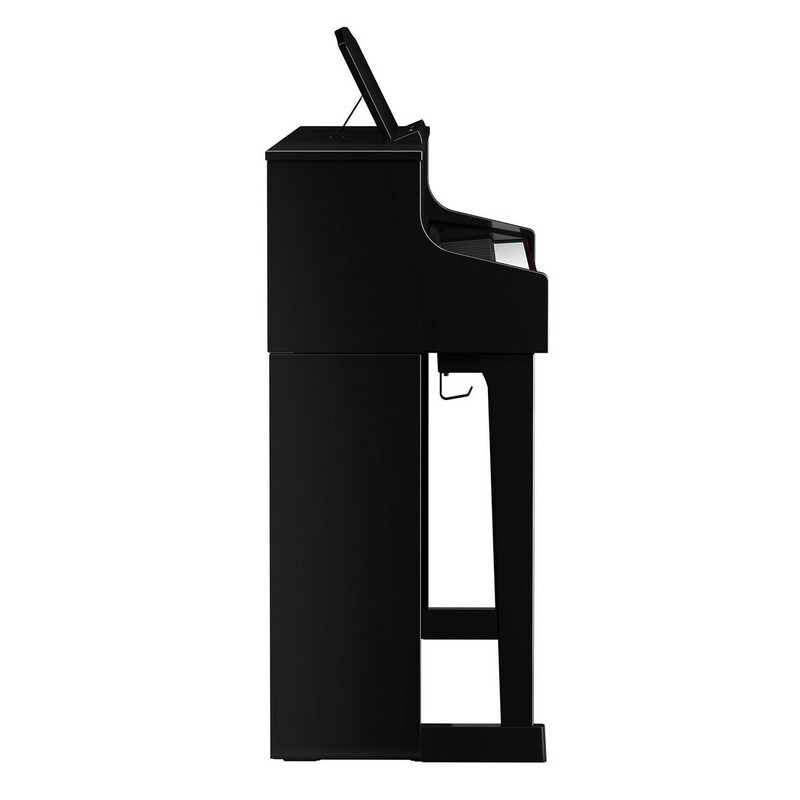 The powerful cabinet speakers produce the all-enveloping main piano sound, while the top-mounted spatial speakers reproduce the resonance of the piano's frame. Finally, the nearfield speakers project the sounds most likely to be noticed by the player, including dramatic, dynamic overtones and even the noise of the hammers as they hit the piano string. The increased height of the cabinet further enhances the richness of the sound.